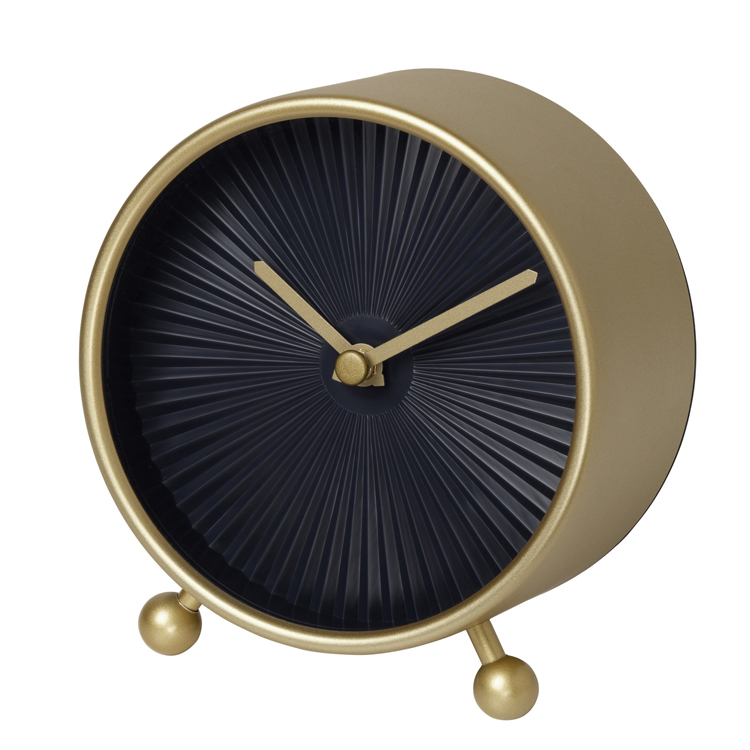 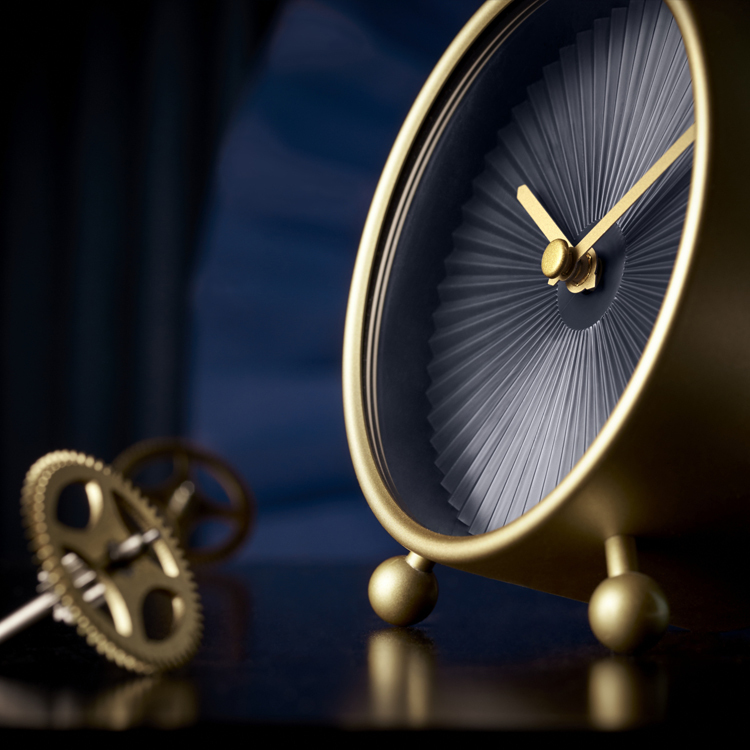 The SNOFSA clock is made of powder coated Steel and glass. 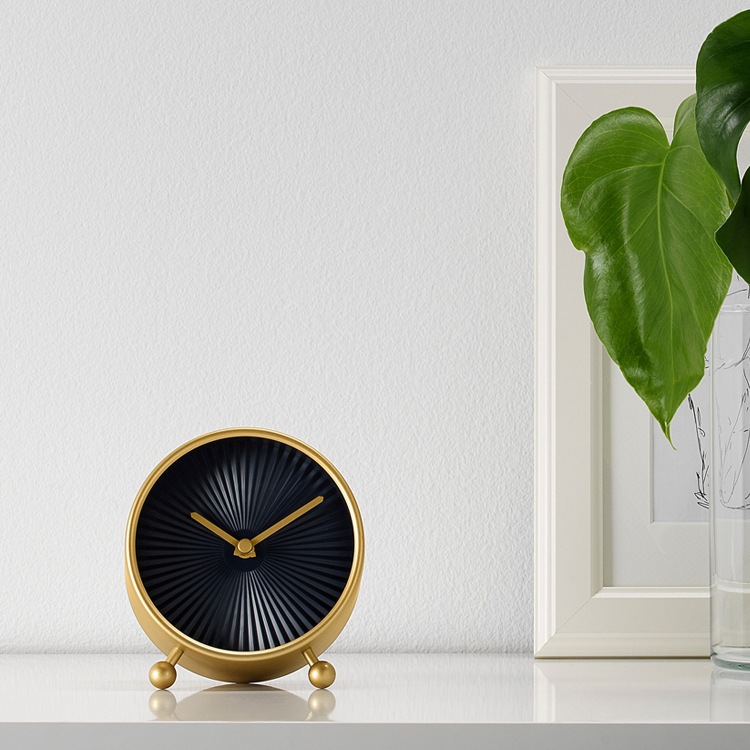 The brass indicators set against a black clock face make it functional and beautiful at the same time. 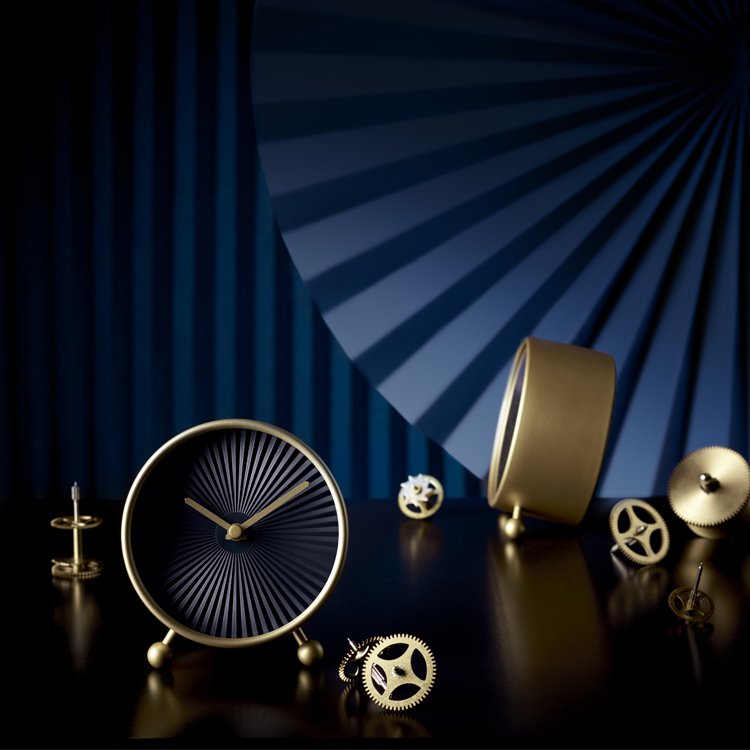 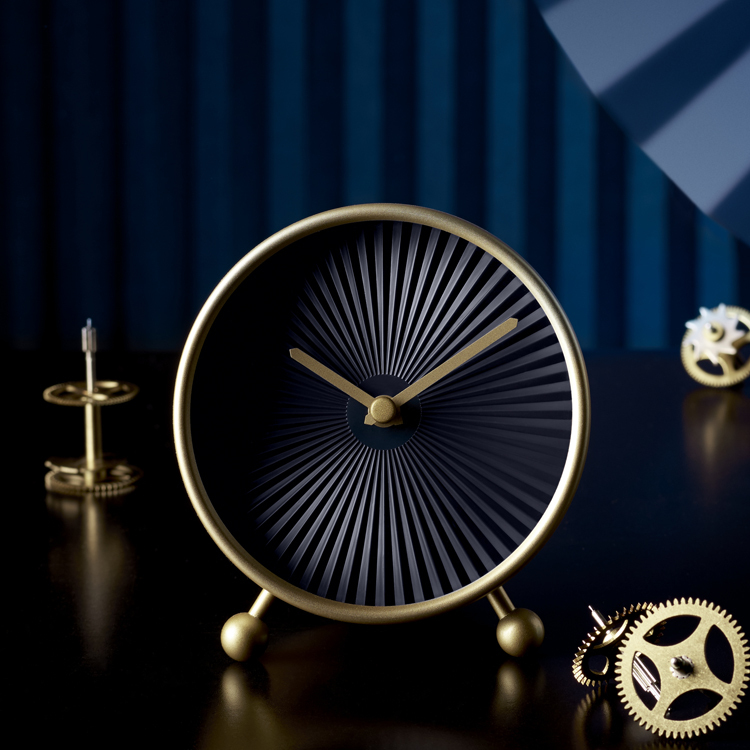 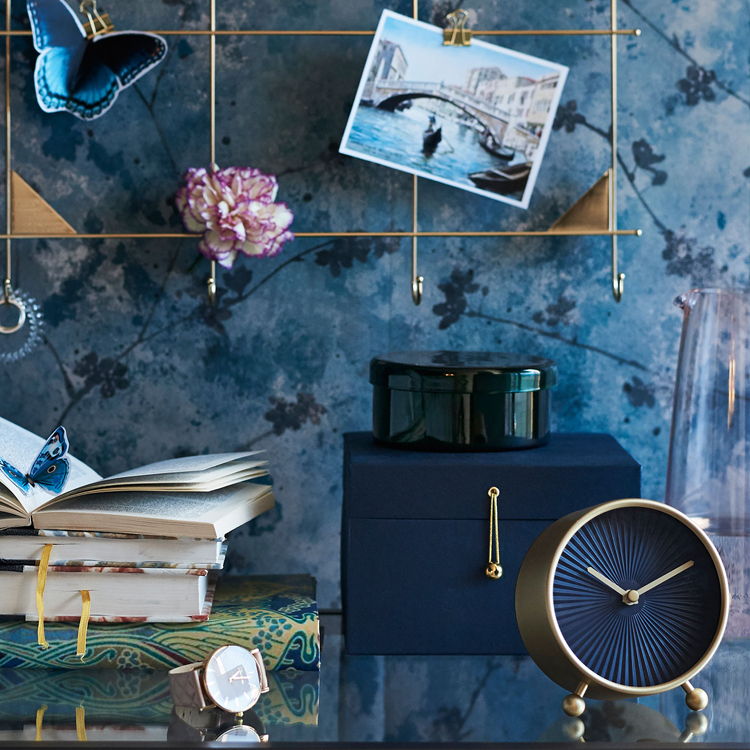 The clock face has a beautiful pleated pattern that adds to a feeling of small luxury.